I love the different perspectives that Betsy Franco and Bobbi Katz write from in these two poems... and how each perspective rings so true. 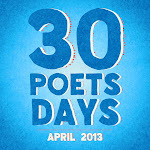 Which, of course, is part of the fun I have each year putting 30 Poets/30 Days together - I get to see the world through other eyes. And today... so do you! Yesterday we had poems from Mary Ann Hoberman and Eileen Spinelli. 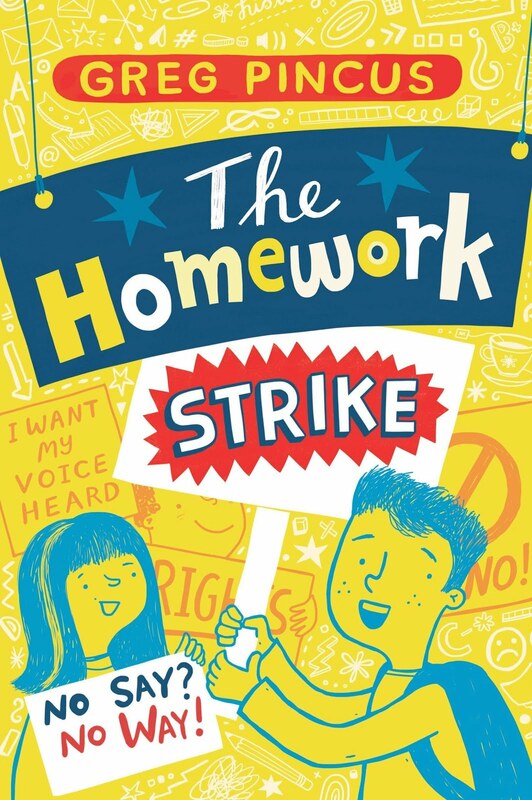 Tomorrow... Jon Scieszka and James Carter. I can remember the moment when I first read each of these poems - by Linda Sue Park and Arthur A. Levine, respectively - because they both struck me with some serious oomph. Other poems grow on me, some I never connect with, but when I read one that just zings me right away... yeah, those are good things, I tell you. So... here are two good things! and not a guard in Queens. being carried out in our lunchroom. I just wanted two blocks of sun. from the insults and objects thrown. Oh sure, I say to her, a whisper, a breath; ignore me. To come back in here? Well. I’m sure I look just like a terrorist threat. Keep me out here; yes, please. © 2010 Arthur A. Levine. All rights reserved. Yesterday we had poems from Lee Bennett Hopkins and Kurt Cyrus. Tomorrow... Mary Ann Hoberman and Eileen Spinelli. Both Avis Harley and Charles Waters were poets who were new to me in the year that they appeared in 30 Poets/30 Days... and I'm so happy I got to make their poetic acquaintance (and hang out with Charles in person, no less!). The field of children's poetry is so full of wonderful people doing wonderful work. I'm endlessly inspired... and hope you are, too! It's Poetry Friday today, too, so for even more poetry joy, head on out to this week's collection of links, kindly collated by Michelle! Yesterday we had poetry from Bruce Lansky and Carmen T. Bernier-Grand. Tomorrow... Nikki Grimes and Kathi Appelt! I love how varied poetry can be, and today Joyce Sidman and Alan Katz give us great examples of the contrasting possibilities. From lyrical pantoum's to ch-ch-ch-chuckles and charm, poetry just makes me so darn happy. Which kinda explains the whole 30 Poets/30 Days thing! soft air and sprigs of green. Spring is the time for eggs. ©2009 Joyce Sidman. All rights reserved. Mom promised great foods she'll be makin'. Yesterday, we had poems from Adam Rex and Ralph Fletcher. Tomorrow... Bruce Lansky and Carmen T. Bernier-Grand. 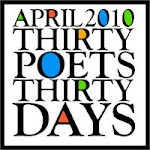 Please click here more information about this year's edition of 30 Poets/30 Days, including how to follow along.